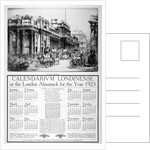 Bank of England, City of London, 1922. 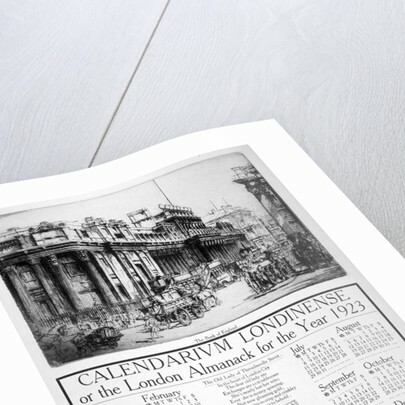 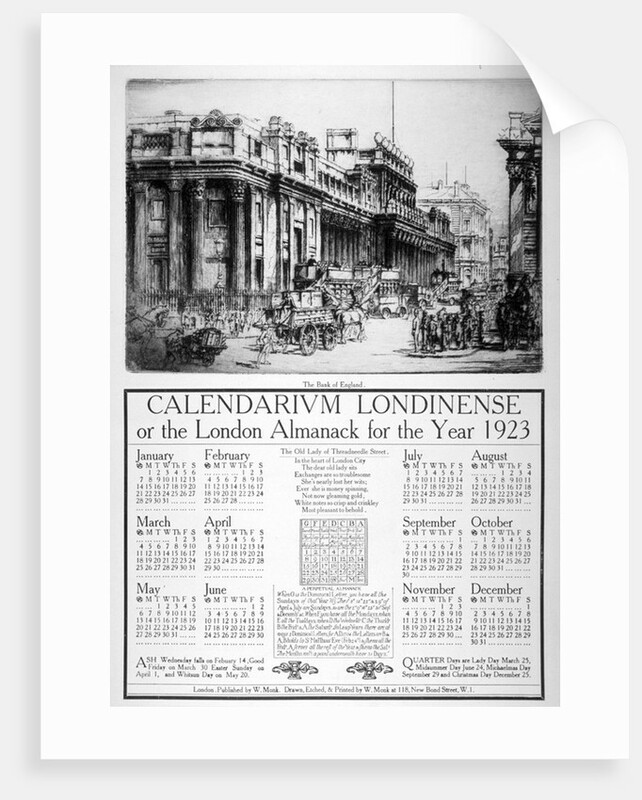 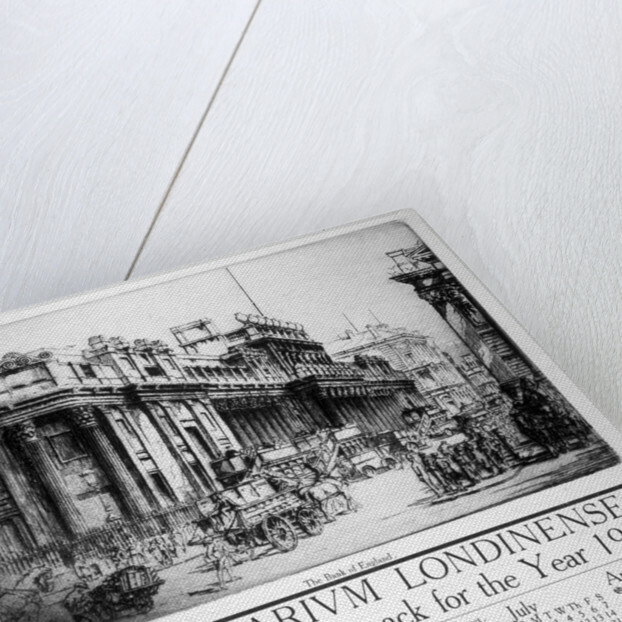 Calendarium Londinense, or the London Almanack for 1923, surmounted by a view of the Bank of England, showing a street scene with vehicles. More by the artist William Monk.